Hey everyone, By now I&rsquo;m sure you&rsquo;ve heard of the untimely demise of the New Ultra Rapid Fire preview, and the rise of classic Ultra Rapid Fire from its smoldering rubble. For anyone unfamiliar with terms such as &ldquo;[Helicopter Horse](https://www.youtube.com/watch?v=1LVo2PJF5Wc)&rdquo;, or the glory days of [Ultimate Faceroll Sona](https://www.youtube.com/watch?v=sO0PDLs47qU), U.R.F. mode brings with it some truly insane moments for the game. However, alongside the skill spam and huge amounts of death and destruction, the game servers take a serious beating as well. Left unchecked, the extra load can potentially cause Bad Things to happen to the entire region. To prepare for this possibility, we&rsquo;ve been working on a variety of tactics to keep things stable while U.R.F. is rocking. During extremely high server load, you may experience longer wait times than normal when queuing up for U.R.F. In extreme cases, the game mode could even be temporarily disabled. You may also notice that U.R.F. mode against AI bots is temporarily throttled or disabled, which allows more headroom for 5v5 PvP U.R.F. matches. Finally, the minimum number of players needed to create custom games could be temporarily increased. Our overall aim is to have as much uptime for U.R.F. mode as possible, without negatively impacting the rest of the region. We&rsquo;re confident that U.R.F. mode will be a blast, and will take every precaution to keep the rest of LoL gliding along as well. Our hope is that this post gives some advance insight into what&rsquo;s going on should any of the above tactics have to take place. Alright then, that&rsquo;s all from us. We&rsquo;ll be seeing you all on the corpse-strewn hellscape of the U.R.F. battlefield. I&#039;ll be hanging out to answer questions. Hope everyone&#039;s enjoying Urf so far! **Culture** Maps & Modes is a place to find discussions and content for Summoner’s Rift, Twisted Treeline, Dominion, Howling Abyss or any special mode. Have an idea for a new map or mode? Share it on this board! 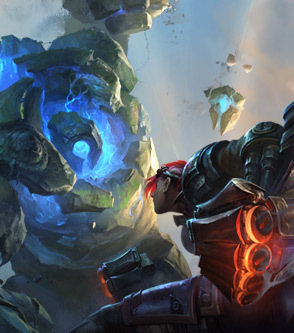 As long as it’s about maps or modes in League of Legends, you’re in the right place. Just make sure to vote on content that you find valuable, and don’t post about general gameplay or balance that isn’t specifically related to maps or game modes, and certainly don’t question the right of your poro overlords. Yes, Puff-of-Love, we live to feed you. **Etiquette** Follow the [Universal Rules](http://boards.na.leagueoflegends.com/en/c/site-feedback/QMLzFo0N-universal-rules-updated-6242014) and keep content focused on appropriate topics for these boards. We want a place for everything, but if we don’t keep things organized, the boards become a lot less useful and a lot more cluttered. Let us know about your favorite or least favorite maps or modes. Share those meta-breaking strategies that redefine the Rift. Post suggestions for new maps or modes, or talk about how the maps and modes fit into the League of Legends universe.